For more information or to make an appointment to see this property call Filomena Siner at 802-498-5407! Directions: Interstate 89 to Exit 9. Take a left on Rte. 2 and then a right on Rte. 100 B. Property is on your left. SELLER SAYS, DONT BE SHY, MAKE AN OFFER. SELLER IS MOTIVATED. NOW PRICED AT ASSESSMENT. 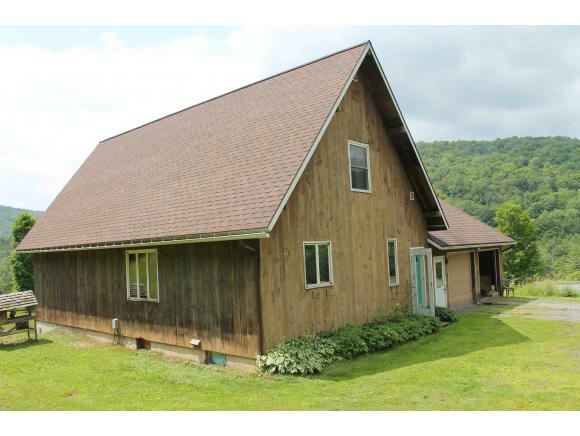 Looking for a well-built home with useable land, views of the mountain and the Mad River with proximity to the interstate? Exit 9 on I 89 is only minutes away making it easy to get to points north and south for commuters. This 3 bedroom, 2 full bath home with 2 car attached garage is set high on a hill to take in all the scenery. World class skiing at Sugarbush and Stowe are nearby plus kayaking, tubing, swimming, biking, and many other recreational activities. A generous garage and mudroom with laundry accommodates all the gear you could possibly use for various sports or work. The sunny deck is the perfect place for dining and entertaining. Potential for more finished space in the spacious walk out basement. Ag Res zoning allows for further subdivision if you so desire. Sellers will consider selling house on two acres and retaining one acre. Please inquire for more details.